Project Dirtbike, the engine rebuild of my 1971 Yamaha At1 125, was on hold for a bit while I waited on parts to be sent. specifically the piston circlips, which so far is the only part i managed to misplace in the entire project. pretty damn impressed with that. After a long 2 week wait for the $2 part to be sent from Canada, they finally arrived and we were able to schedule a garage night over at Motor Grrl to got the top end together, and the engine back in the frame. yahoo! Everything’s looking pretty good so far, and though we broke at midnight to catch some zzz’s, we hope to fire up The Runt this weekend after just a few minor tweaks. 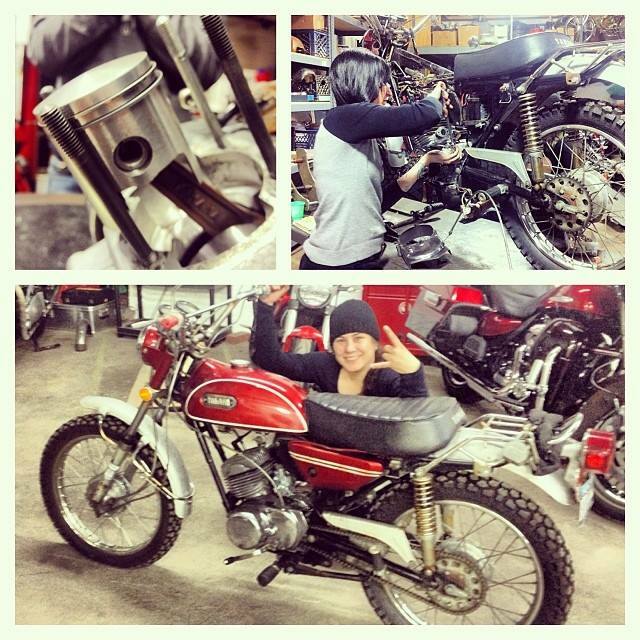 This entry was posted in Project bikes, Wrenching and tagged corinna mantlo, motorgrrl, project dirtbike, the miss-fires, the missfires, women who ride, women who wrench, yamaha at1 125. Bookmark the permalink. LOVE that Yamaha! Nice work! I found your site because a friend shared the Refinery29 article. As a 50 year old man/motorcycle rider, I really like seeing younger enthusiasts. Breaking the gender barrier is even greater. 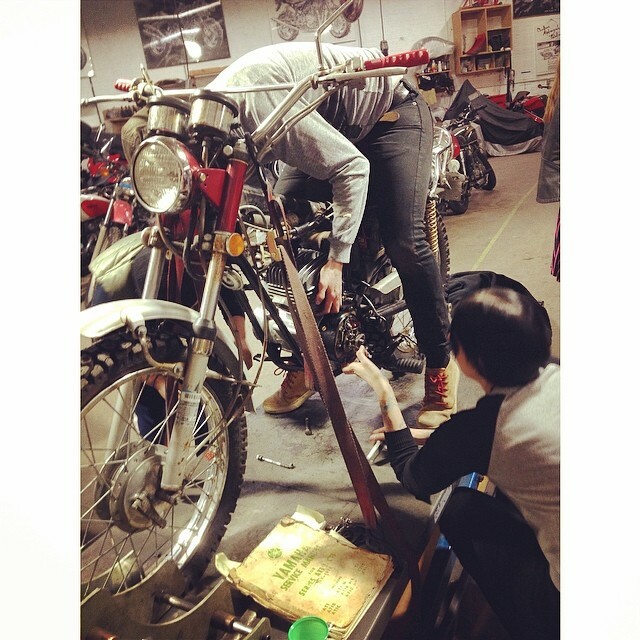 Riding motorcycles, like golf, doesn’t depend on physical strength. So, a 110 lb. woman can beat the crap (figuratively) out of 250 lb. man through skill, experience and desire. Keep on riding!